· Using a tripod and remote shutter release helps to reduce camera shake from your hand touching your EOS. To lessen vibration further, set Mirror Lock Up on your Canon by accessing it in the menu options. · A remote release is also a great way to shoot birds. Set your EOS on a tripod and manually focus on a branch, attach the shutter release cable, then lie on the ﬂoor with the controller in hand. Use binoculars to watch your subject come into frame, and ﬁre in Continuous Shooting mode. · An average wired release gives under a metre of distance between you and the camera, while a wireless release enables you to roam around up to 100 metres away. This is ideal for sprawling landscapes, but a waste for studio use. · Some remote releases need batteries, so be sure to pack some spares! CR2032 cells are the most popular, and they’re sold in electronics and hardware stores. · In newer camera models you select Bulb mode by simply switching the function dial to ‘B’. In older models Bulb mode is found by switching to Manual, then turning the selection wheel until the shutter speed reads ‘Bulb’. The Hama CA-1’s lightweight plastic casing doesn’t seem particularly impressive, but looks can be deceiving. With four 433MHz signal channels and a working distance of over 30 metres, this shutter release can be used anywhere – even through walls! The button on the remote enables you to focus, ﬁre the shutter, and begin and end long exposures in Bulb mode. 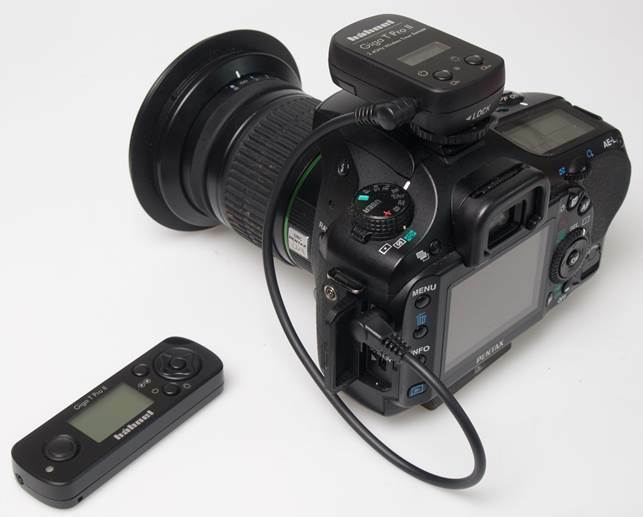 The receiver plugs into the shutter release socket on your EOS, but its bulky size makes it easy to pull out or damage during shooting. If there’s a remote shutter release designed to cover all photographic eventualities, then the Seculine Twin-1 is it. 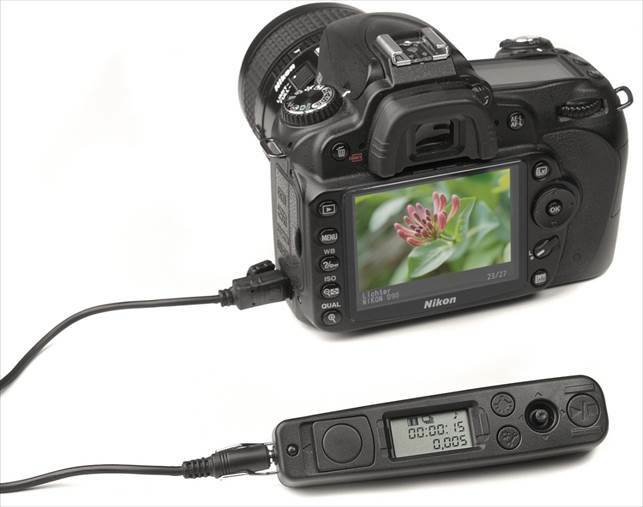 Marketed as an interval shutter release, it also has self-timer, exposure counter and long exposure options. The buttons are clearly labelled and easy to use, although the lock feature is stiff to begin with. The supplied 100cm cables come with both N3 and 2.5mm jack sockets, which means it will ﬁt any Canon. The extra length and quiet operation makes it ideal for landscapes, wildlife, and even self-portraits. Canon’s RS-60E3 looks fairly nondescript, but it comes with clever features that make it intuitive to use. The shutter button is small, but the ﬁrmness of the spring beneath means there’s no chance of accidentally triggering it. 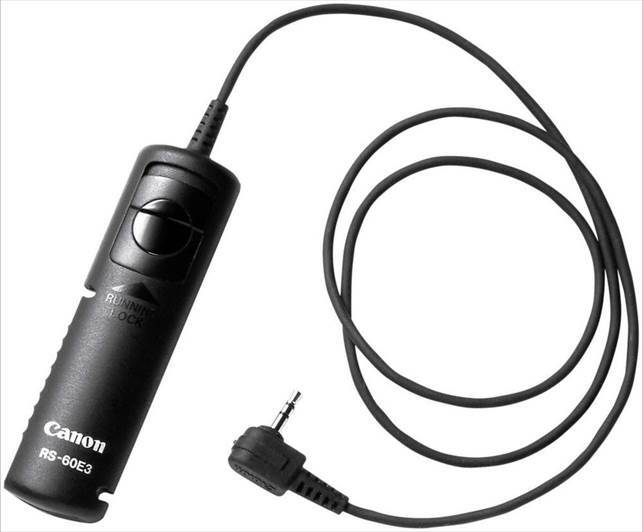 The cable measures just 60cm in length, which makes it better suited for studio or still life shooting. When not in use the cable can be wound around the body of the shutter release, catching in the specially designed ridges and pinning into the base. This wireless remote control gives you access to multiple features on your EOS from up to 100m away. 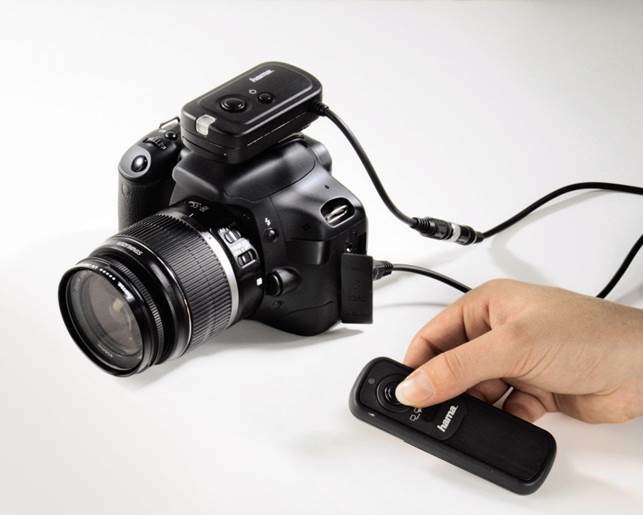 The digital receiver and transmitter are small and sleek, yet the functions are comprehensive – you can autofocus, trigger the shutter, achieve excellent long exposures, set the interval timer or a delay, and even use self timer. It may be overkill in a studio, but for nature and astral shots you’ll appreciate the vast amount of options available.